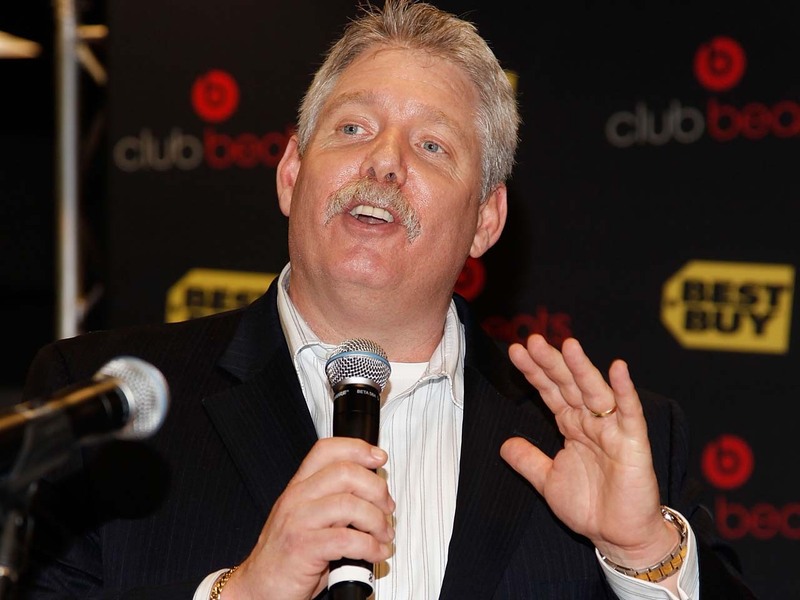 Best Buy CEO's exit linked to "personal conduct"
(AP) NEW YORK - Best Buy (BBY) CEO Brian Dunn abruptly resigned on Tuesday after the embattled consumer electronics chain launched an internal investigation into his "personal conduct." Best Buy released a statement late Tuesday saying that it is conducting the probe after earlier only saying the departure was a "mutual decision." The chain would not give any specifics on the circumstances surrounding the investigation of Dunn, a 28-year Best Buy veteran who had been CEO since 2009. "Certain issues were brought to the board's attention regarding Dunn's personal conduct, unrelated to the company's operations or financial controls, and an audit committee investigation was initiated," according to a company statement issued late Tuesday. "Prior to the completion of the investigation, Mr. Dunn chose to resign." Dunn, who started his career at Best Buy as a sales clerk in the 1980s, could not be reached for comment about the investigation. But earlier on Tuesday, the 50-year-old said in a statement that he was leaving Best Buy poised "for a strong future." Best Buy Co. hasn't disclosed the terms of Dunn's severance package. But Dunn's annual compensation for fiscal 2010, the latest figures available, was worth about $5 million - half of what it was in the prior fiscal year. The resignation adds to Best Buy's mounting problems. Up until a few years ago, the nation's largest consumer electronics retailer was the place Americans went to grab TVs and cameras. But the chain has suffered in the economic downturn and has been widely criticized for not being quick to respond to growing competition and the changing shopping habits of Americans. While industry watchers had been calling for changes at Best Buy, news of the investigation didn't sit well with Wall Street. On the news of the probe, Best Buy's shares fell almost 6 percent, or $1.33, to close at $21.32, after initially climbing higher on news of Dunn's departure. Best Buy's shares have lost more than half of their value since April 2006, when they were trading at $56.66 per share. "It's good news that he's gone," said Brian Sozzi, chief equities analyst at NBG Productions, an independent research firm. "But this adds another layer of uncertainty." Best Buy said Tuesday that board member Mike Mikan, 39, will serve as interim CEO while the company searches for Dunn's permanent replacement. A new CEO will face a big challenge trying to usher Best Buy into a new era. Sales of TVs, digital cameras and video game consoles - once the bread-and-butter of Best Buy - have weakened, while sales of lower margin items like tablet computers, smartphones and e-readers have increased. Adding to that, people increasingly use the stores of big-box retailers like Best Buy as showrooms to browse for products and then go online to Amazon.com and other sites to buy items at lower prices. Best Buy, based in Minneapolis, was expected to benefit from the liquidation of the company's main competitor Circuit City, which was overcome by growing competition in 2009. But instead, the company has continued to struggle even in the absence of its rival. Best Buy's revenue at stores opened at least a year - a key measure because it excludes results from stores that open and close within the year -; has declined in three of the past four years. In the most recent fiscal year ended March 3, the figure fell 1.7 percent. That's on top of a 1.8 percent decline in the prior fiscal year. "Best Buy's operational strategy has been way off the mark and late to address the fundamental industry upheaval," Sozzi, the analyst at NBG Productions, said. "Big-box stores can't be fixed. They have to be re-invented." Best Buy, which has 1,400 U.S. stores, has been trying to revamp its business. In the past few years, the company has cut its square footage by 15 percent in about 43 stores. It did that by either subletting the space to other merchants or giving it back to the landlords. And a couple weeks ago, the chain unveiled a massive restructuring plan that calls for closing 50 of its U.S. big-box stores and opening 100 small-format stores focusing on its burgeoning mobile business that focuses on cell phones. It's also planning to cut $800 million in costs over the next five years. But analysts say there's more work to be done. Gary Balter, an analyst at Credit Suisse, says the company should close even more stores and take better advantage of its fast-growing mobile business. After all, Best Buy's mobile business makes up nearly one-third of the retailer's profits, he says, but accounts for less than 10 percent of the overall square footage. "Best Buy faces an uphill battle to find the right CEO," said Michael Pachter, an analyst at research firm Wedbush Securities. "Mr. Dunn's replacement must be prepared to manage the transition from big box to small box format. A CEO with this experience will be difficult to find."